In a large bowl, combine the ketchup, brown sugar and mustard. Remove 1/2 cup for topping; set aside. Add the eggs, Worcestershire sauce, cereal and seasonings to remaining ketchup mixture. Let stand for 5 minutes. Crumble beef over cereal mixture and mix well. Press meat mixture into 18 muffin cups (about 1/3 cup each). Bake at 375° for 18-20 minutes. 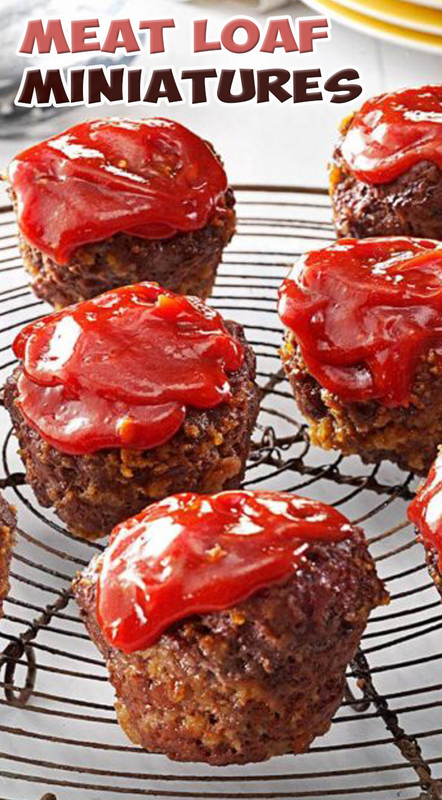 Drizzle with reserved ketchup mixture; bake 10 minutes longer or until meat is no longer pink and a thermometer reads 160°. Serve desired number of meat loaves. Cool remaining loaves. Transfer to freezer bags; seal and freeze for up to 3 months. To use frozen meat loaves: Completely thaw in the refrigerator. Place loaves in a greased baking dish. Bake at 350° for 30 minutes or until heated through, or cover and microwave on high for 1 minute or until heated through.